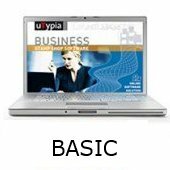 Welcome to the Trodat shop for uTypia Software. uTypia is the leading solution for individualizing of rubber stamps, and also engraving- and print products. Our configurator for creating an individual layout meets the highest requirements. We offer different target group specific solutions - either for B2B or B2C. And our strenght is in shop-in-shop - and e-procurement-integrations. Available add on modules as credit card integrations, SSL and licensed font packages are perfectly in addition to our offered solutions. You can buy directly here our products. Further informations are to find on our website www.utypia.com. For any further questions please do not hesitate to contact us per e-mail: utypia@trodat.net ! With the uTypia Stamp And Engraving Designer we enable you to integrate the uTypia Custom Wizard into a Magento shop system. The existing functionalities from Magento can be optimally combined with the individualization possibilities for stamps, signs, marketing materials, gifts and many other products from uTypia. Order HERE ! Click on each picture for further product descriptions!